High ridges, sparkling waterfalls, lush feng shui woods and ancient fishing communities nestled in rocky harbours. Your mind refreshed, your limbs exercised, and your senses intoxicated, you wonder at the fact that only a few miles separate all this from one of the world’s most crowded cities. 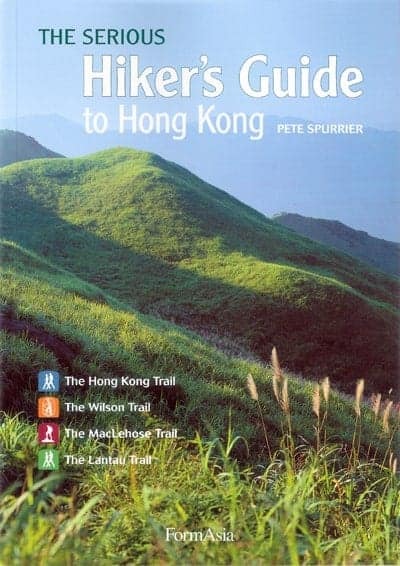 The Serious Hiker’s Guide to Hong Kong — the bestselling guidebook to the SAR’s four long-distance hiking trails — is back in the shops in its sixth edition, with a new cover. Describing the Lantau Trail, Wilson Trail, MacLehose Trail and Hong Kong Trail, it’s been updated for 2010 and is profusely illustrated with maps and photographs. Available in all local bookshops or directly from the FormAsia website.